To properly organize and mobilize the UPOU Faculty of Education (FEd) alumni towards the goal of better education quality and access, FEd held its first Alumni Association Organizational Meeting last September 28, 2018, 11 a.m. at Mer-Nel’s Place, Los Baños, Laguna. The meeting started with Prof. Ricardo T. Bagarinao, Dean of FEd, providing the rationale for organizing the FEd chapter and the two representatives from UPOU Alumni Foundation Incorporated (UPOU AFI) namely Herbert P. Sancho, PRO and Dhojie N. Yanto, Auditor presenting a background information on the role of the association in UPOU AFI. The discussions revolved around alumni association’s importance and organizational procedures. Forty-four (44) alumni attended the said event. Several issues were identified and some alumni expressed their ideas during the meeting, which the UPOU AFI is willing to discuss them at their level. Newly appointed FEd Faculty Office Alumni Chapter Officers with Dean Bagarinao (second from the left) and UPOU AFI representatives (first from the left and from the right). Prof. Bagarinao mentioned that the FEd alumni can be tapped to serve as tutors, faculty-in-charge, local preceptors and resource persons depending on the need of the Faculty. He also highlighted the contribution of the alumni association in achieving FEd’s mandates and goals especially in widening access to quality education and in finding the niche of FEd’s programs. The organizational meeting last September 28 was the first leg in mobilizing FEd alumni. FEd plans to hold a month-long regional consultation caravan this November. 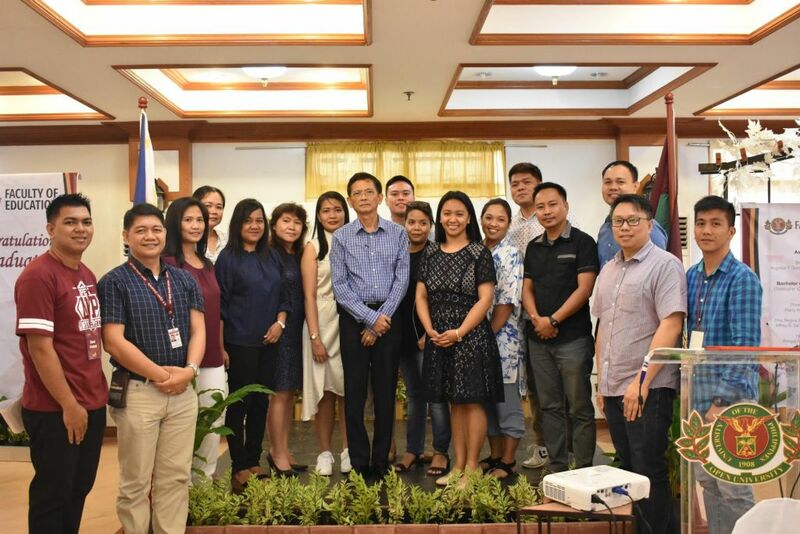 FEd is planning to hold the consultations in five major cities including Baguio City, Legazpi City, Tacloban City, Cagayan de Oro, and Quezon City. The faculty is also planning to hold other activities besides consultations during the caravan. A prior meeting between FEd Faculty and Staff and UPOU AFI President Jerry Donato last 11 September 2018 was held to share insights about the ongoing alumni organization efforts and to discuss the upcoming organizational meeting and caravan. This is to provide guidance and a heads up for possible challenges the Faculty Office will face as it establishes its own chapter. UPOU AFI aims to establish a chapter in every Faculty Office within UPOU called Faculty Office Alumni Chapter, and give way to possible alumni opportunities.